Wi-Fi Technology – Veracity Group Inc.
A VersaTrak Wi-Fi system consists of transmitters that talk through your existing Wi-Fi access points in your buildings. 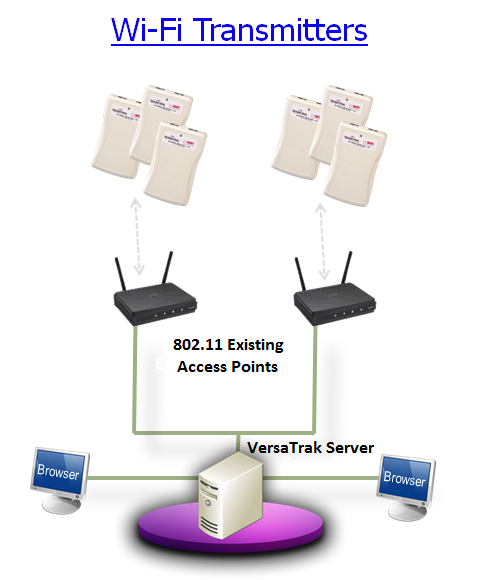 The data goes from the access point across the wired network to the VersaTrak server. Using Wi-Fi technology to collect your temperatures and other critical data has some advantages over 900MHz.